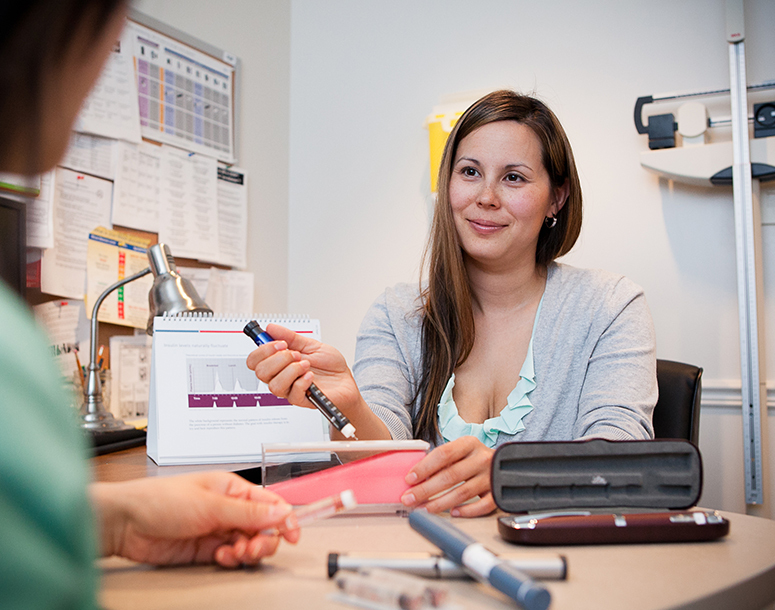 DECNET, the Diabetes Education Community Network of East Toronto, is a diabetes education program that provides counselling, education and support to help adults manage their type 2 diabetes or prediabetes. Services are also available for individuals at risk of developing type 2 diabetes. If you would like to connect yourself with our program please fill in as much information as you can on the referral form below. We encourage you to share your health care provider’s name and contact information. Our diabetes support groups allow individuals to ask, receive and provide support in an informal setting with both peers and diabetes educators. DECNET groups provide a safe and welcoming environment in which individuals learn about managing their diabetes from their peers, as well as our DECNET diabetes educators. DECNET clients can connect with their diabetes educator to receive individualized education, support and care. Clients can book a one-to-one appointment with a nurse or dietitian. Specially trained diabetes nurse educators work collaboratively with the chiropody team to provide foot care services for individuals living with Type 2 Diabetes.